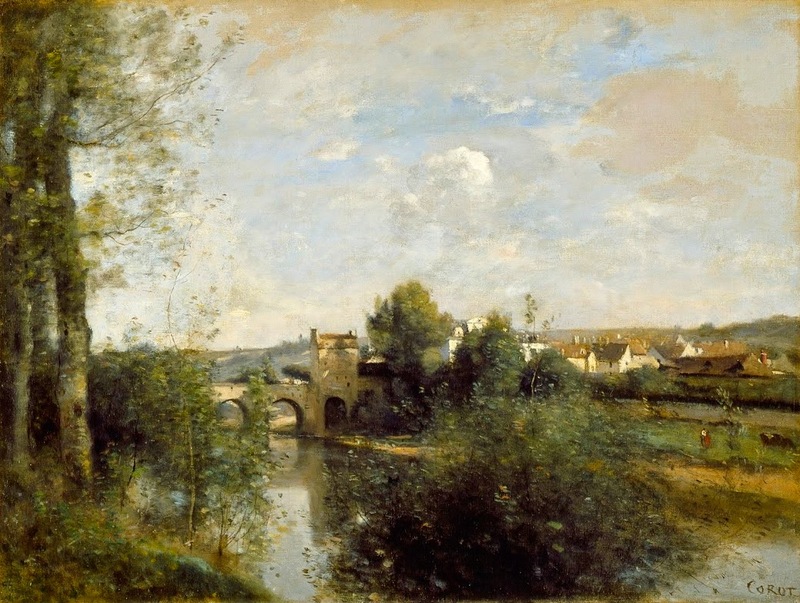 Painting by JBC Corot (1796-1875) Corot was highly accomplished in portraits as well as one of the most influential landscape painters. While a few of his landscapes served the traditional function of a vehicle for framing legendary stories, he paved the way for paintings to be appreciated for what they show of a scene in the present. It is very much like Corot to tramp to this island spot to best depict the noble form of the old bridge. Its geometry contrast with the glassy water. An artist always makes conscious and unconscious choices about what to include in an image, and in this case the vantage point does not include the spans of the old bridge that are missing.